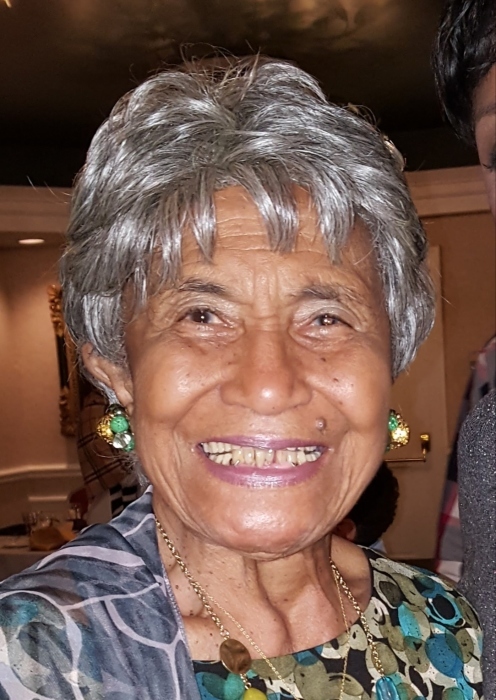 Georgia Mae Dawson passed away Sunday, January 27, 2019 surrounded by family members in Fredericksburg, Virginia. She was the eldest daughter of the late George and Anna Chapman of Crawfordville, Georgia. At an early age she joined the Springfield Baptist Church in Union Point, Georgia. After graduating from high school she met and married the late Everett Elroy Dawson Sr. on January 14th, 1942. Georgia worked faithfully for Benson Frost Jr., the Greer School for Children, Millbrook, NY, the Rhinebeck Country School, and the King Heights Rest Home, Rhinecliff,NY. She was a lifelong member of the Rhinebeck Methodist Church and the Rhinecliff Fire Departments Ladies Auxiliary. She was preceded in death by her husband Everett Elroy Dawson Sr, son Everett Elroy Dawson Jr., daughter Marie Louise Dawson-Edwards, three sisters; Marie Turnbough, Marion McWhorter and Thelma Scott, grandson Jason Lamar Dixon and granddaughter Shovonia Dawson. Georgia is survived by her devoted family; Son Sgt. Major Thomas George Dawson, USMC (Ret.) and his wife Almaz of Stafford, Virginia, daughter Melody Elmo of Fort Washington, MD, son-in-law Armond Edwards of Poughkeepsie, NY, daughter-in-law Arlene Dawson of Memphis,TN, grandchildren: Jessica Carol Dawson of Grovetown, GA, Brian Thomas Dawson and his wife Brittany Catherine Dawson of Attleboro, MA, Staff Sergeant Elizabeth Ashley Dawson, USAF, Jeremiah Alexander Dawson of Havelock, NC, Robert Brian Dixon of Manassas, Virginia, Jackie Dixon DePorres and her husband Jaime Geraldo DePorres of Smyrna, Georgia, Sherita Anderson of Memphis, TN, Candis Dawson-Taylor and husband Reginald Keith Taylor of Memphis, TN, John Babsa and wife Rabia Qyayyum-Babsa of Stafford, Virginia. Georgia is also survived by her three devoted sisters: Hattie L Perry of Jamaica NY, Ruth Russell and Francis Slack Ellington both of Atlanta, GA and numerous nieces and nephews. Georgia Dawson was an amazing part of the Rhinebeck and Rhinecliff community for over 65 years. Most people would often find her outside in her yard gardening, which was only one of her passions. She would always greet you with a friendly hello and her smile was contagious. She will be greatly missed. The viewing and celebration of Georgia’s life will be held from 11 am to 1pm, Saturday, 2 February 2019at the Dapson-Chestney Funeral Home, 51 West Market Street, Rhinebeck NY. Funeral services will begin at 1 PM. Internment will follow in the Rhinebeck Cemetery. Family is requesting that any memorial donations be sent to the Rhinecliff Fire Departments’ Ladies Auxiliary, P.O. Box 6 Rhinecliff, NY 12574.